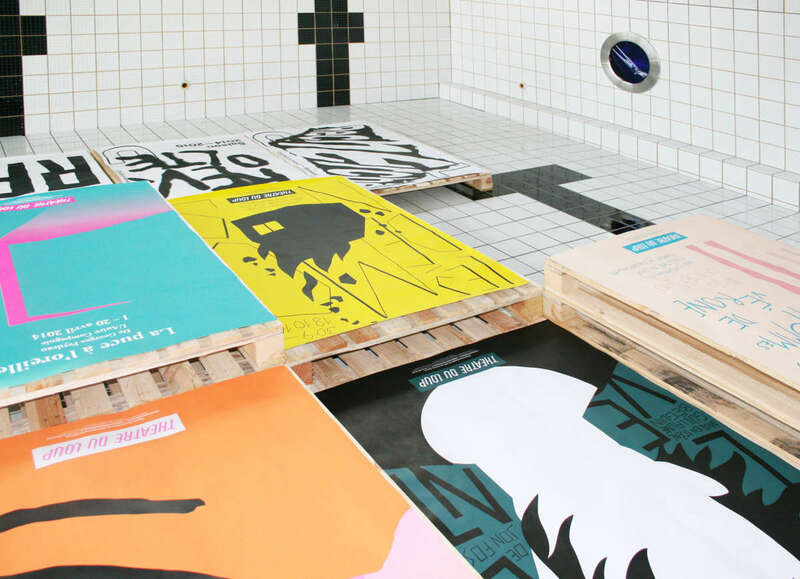 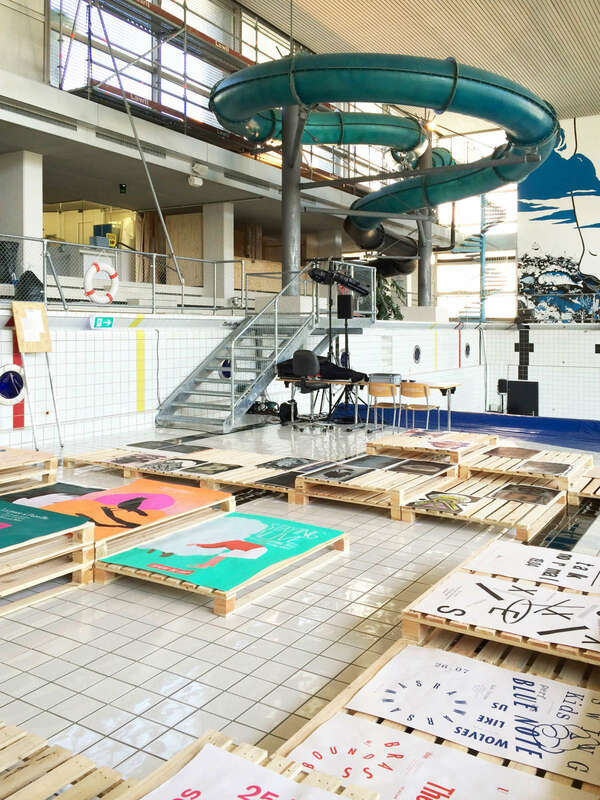 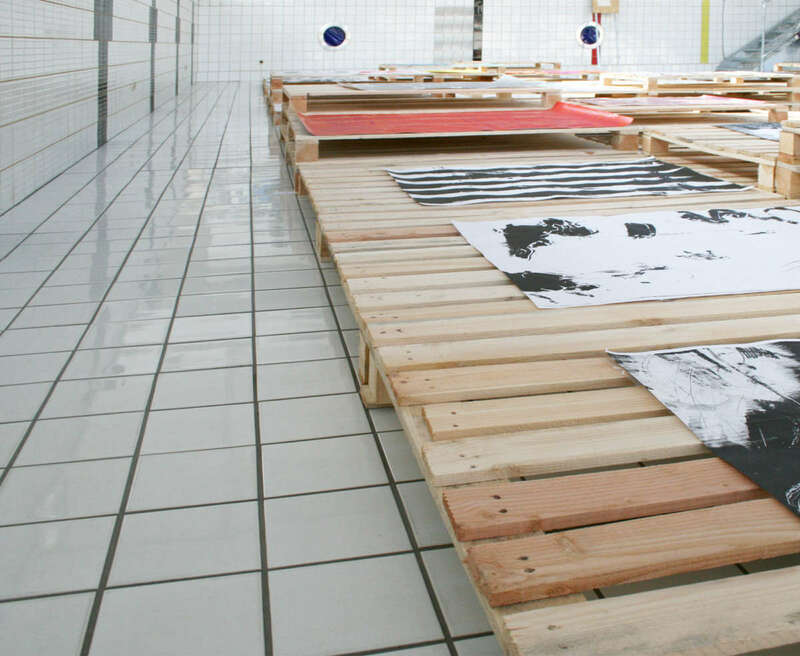 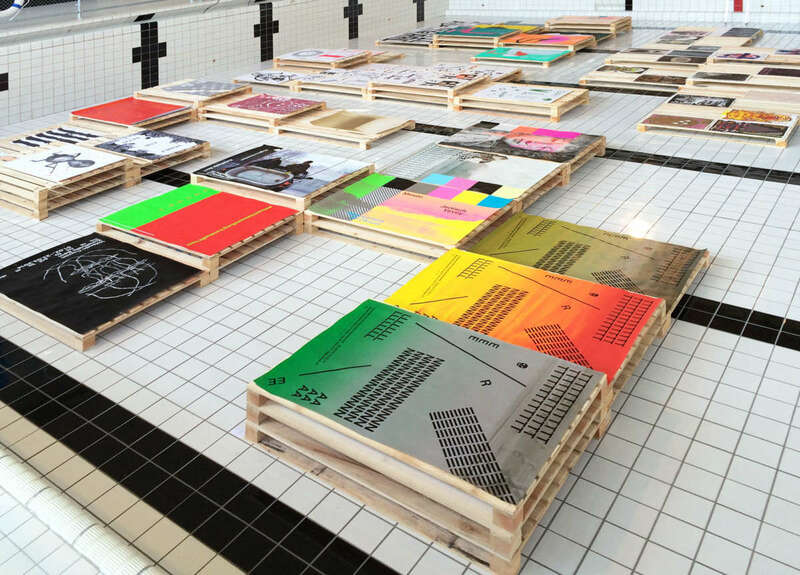 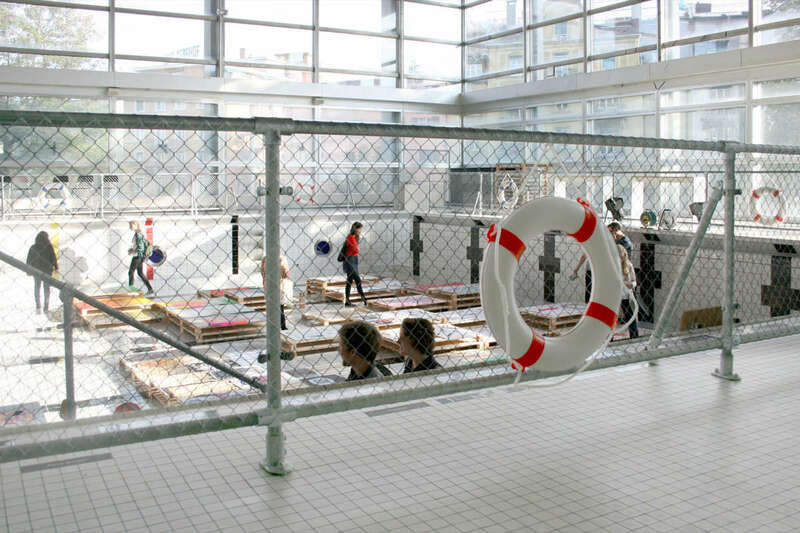 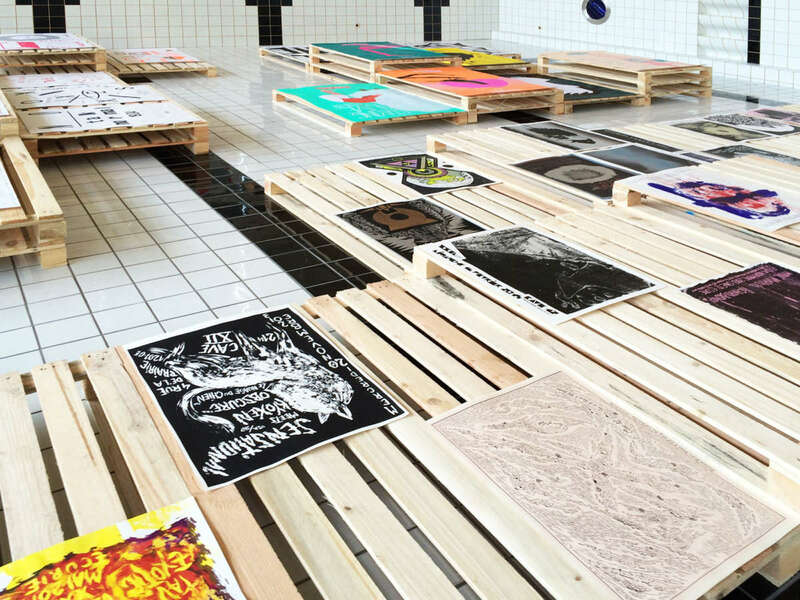 An exhibition of Posters from graphic designers established near Lake Geneva displayed directly in the Neubad pool. 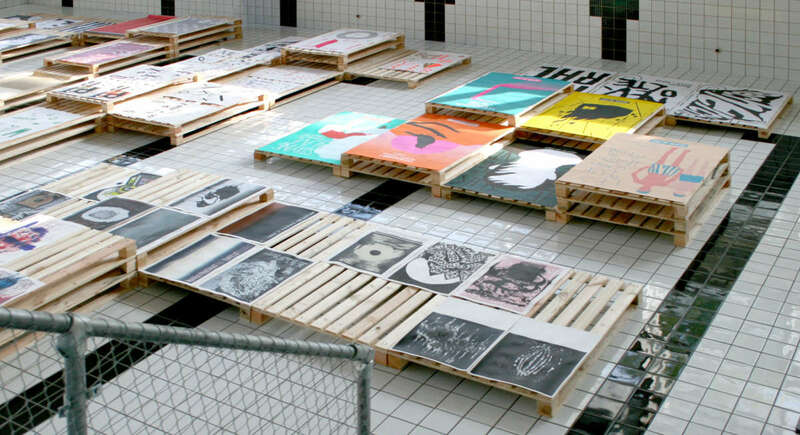 With AMI, Gavillet & Cie, Maximage, Thomas Perrodin, TM Todeschini + Mamie. 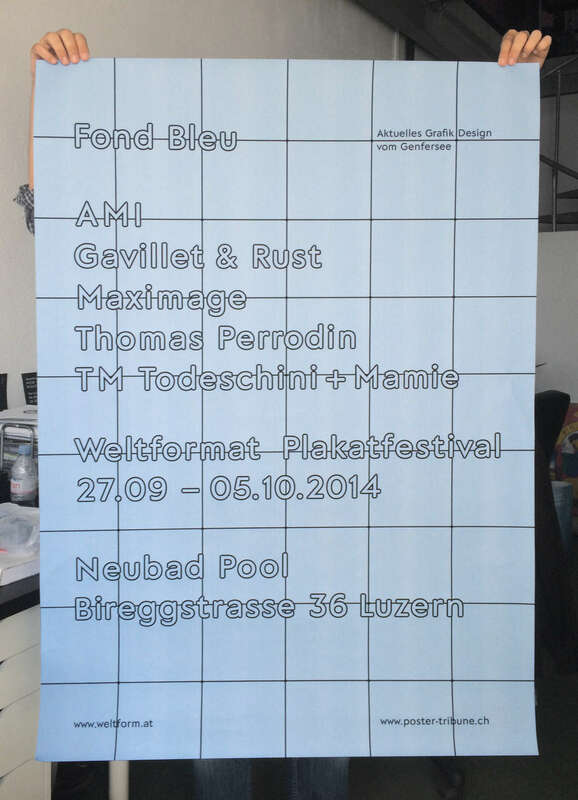 Poster printed on the blue back (Fond Bleu) of the official SGA APG paper.